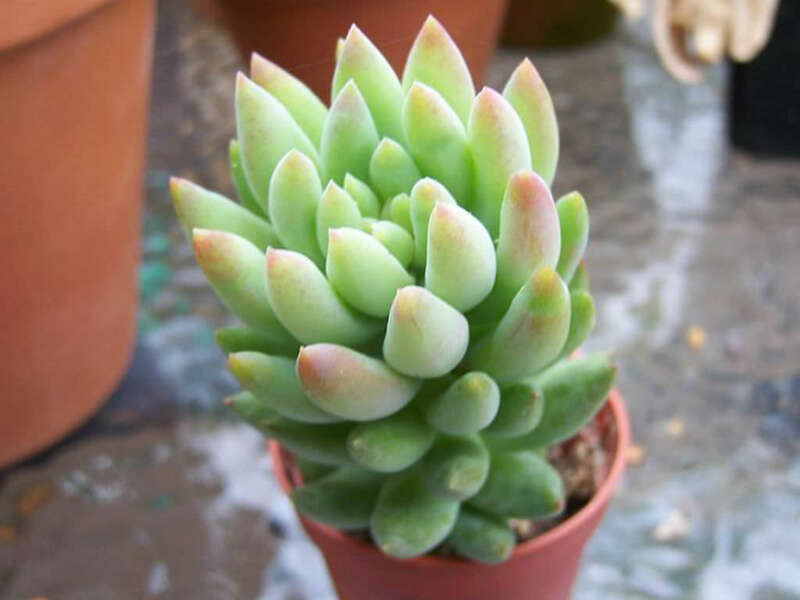 x Sedeveria ‘Harry Butterfield’ is a hybrid between Sedum morganianum and Echeveria derenbergii. 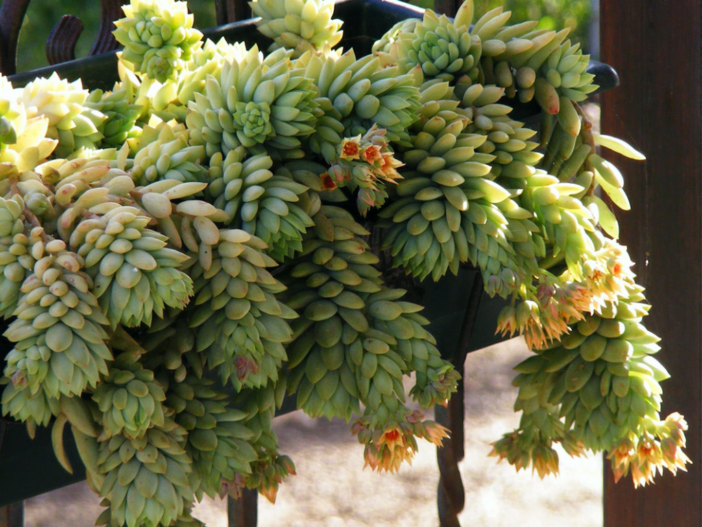 This mint green succulent produces cascading stems with fleshy tear-drop shaped foliage. 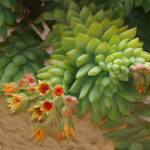 It’s larger and more robust nature, when compared to its parent S. morganianum, have given it the nickname “Super Donkey Tail”. 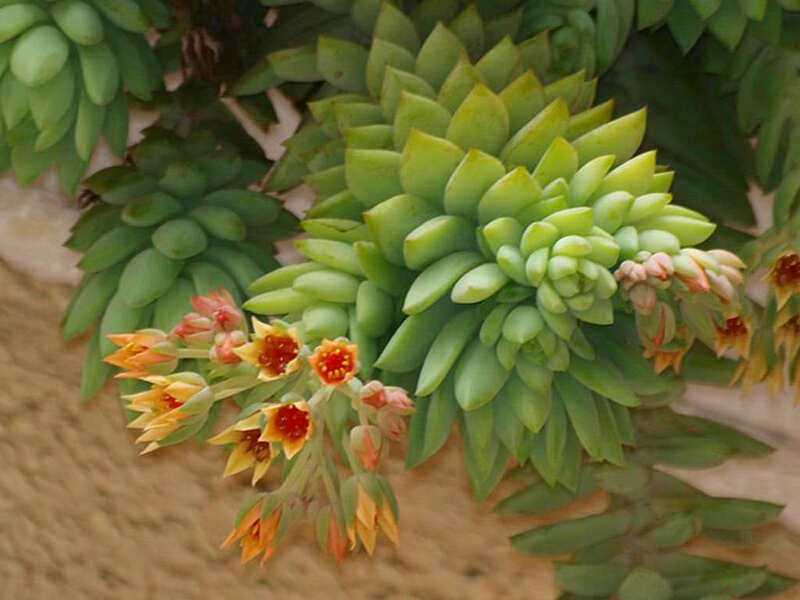 While the rosettes of these plants are slightly larger than its parents, it still inherits its smaller quality from E. derenbergii and the trailing quality from S.morganianum. 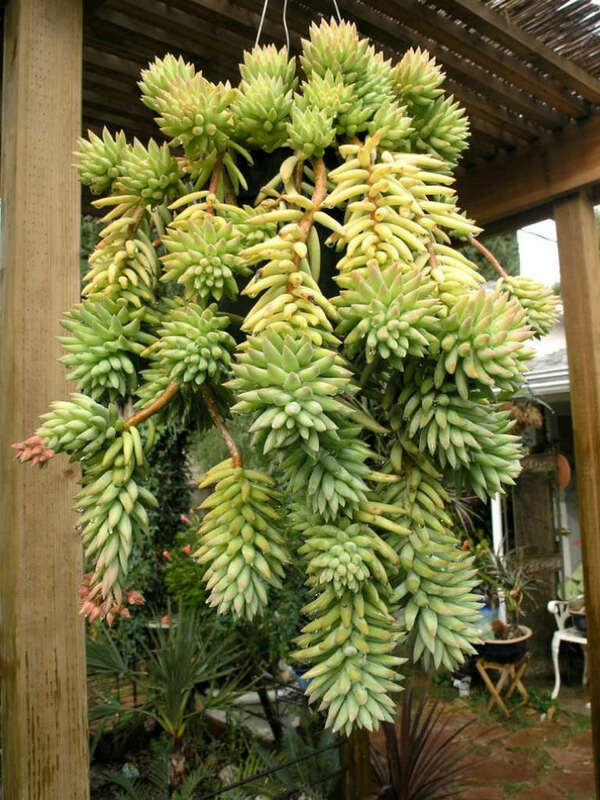 Trailing stems terminate in clusters of tubular pale yellow flowers. 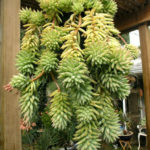 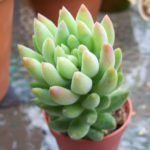 It is a hybrid between Sedum morganianum and Echeveria derenbergii.